Photographer indicated in record refers to the realtor who originally commissioned the photograph(s). 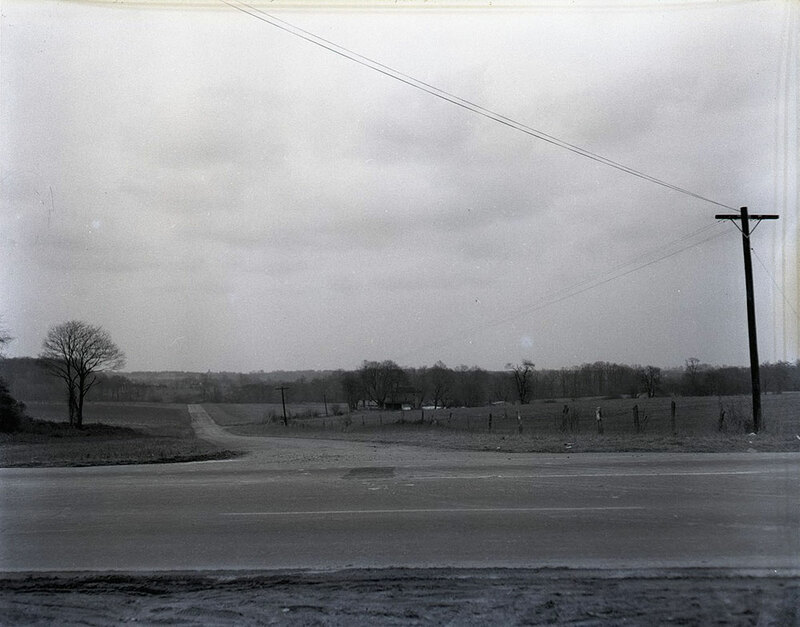 Image shows Sproul Road and surrounding undeveloped area. A section of the paved road along with surrounding fields and trees are shown. Exact location and current status of area unknown.